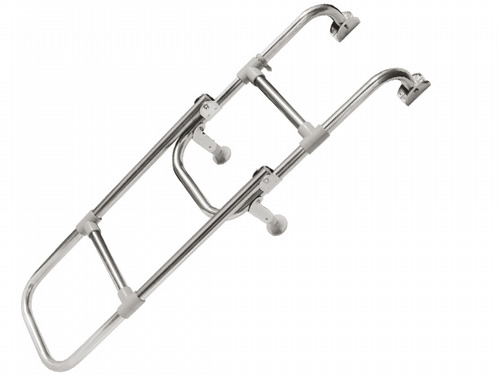 For boarding and leaving your boat, this boarding ladder is the perfect buy. Practical and looks great on any boat. Our boarding ladder makes getting on and off your boat easy. This boarding ladder folds away to minimise the space it takes up on your boat. 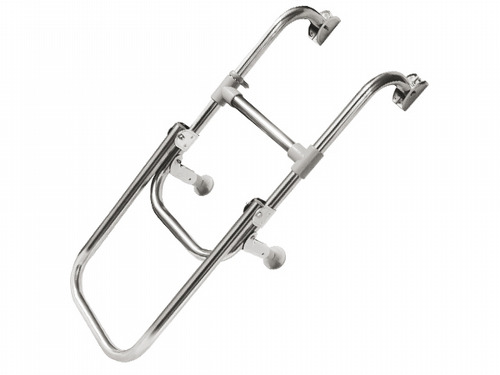 Our stainless steel folding boarding ladder is great for getting on and off boats and has great rust resistance. This Folding Boarding Ladder Has A Stainless Steel Finish For Great Rust Protection While At Sea. Our Stainless Steel Folding Boarding Ladder Is Perfect For Accessing Vessels As It Offers Great Corrosion Protection. 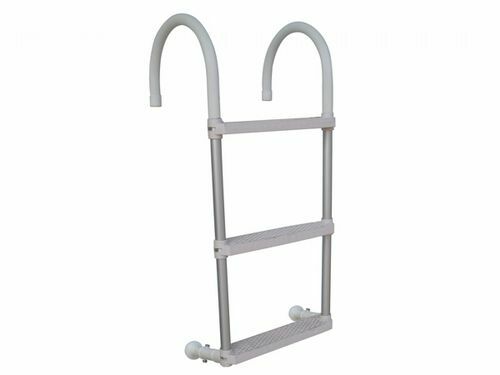 This Folding Boarding Ladder Is Finished With Stainless Steel For Maximum Rust Protection. Our Folding Aluminium Boarding Ladder Is Perfect For Use On Boats With Limited Space. 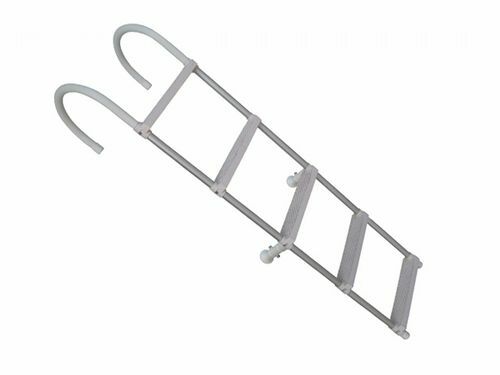 This Aluminium Boarding Ladder Is Great For Use On Small Boats As It Is Easy To Store. At SecureFix Direct we have the stainless steel boarding ladders that can be easily placed on the side of your boat. Our selection of boat ladders can add a sense of style and luxury to any vessel, and we're confident that you'll be impressed with how simply they can be fitted. For high quality boat ladders that can be used quickly and easily, make sure you browse our online store and make a purchase today. 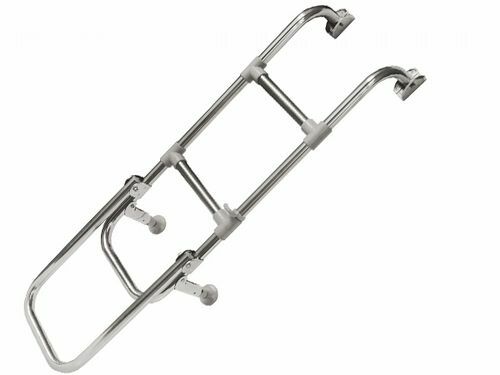 We stock a wide selection of different stainless steel boat ladders, so we should have just what you're looking for, no matter what size you're after. Among our popular items are the fold away, telescopic boarding ladders. These come with a grip on each step for an added level of safety, and they also come with a velcro strap that are perfect for tying the steps together when they're not in use. You can purchase these items with 2, 3 or 4 steps, and when you're not using them they can be easily stored away. Boat ladders need to be sturdy and easy to mount on the side of your boat, and at SecureFix Direct we stock the finest aluminium boarding ladders around. If you require a ladder for a yacht then we have just what you need, with competitively priced items that won't let you down. 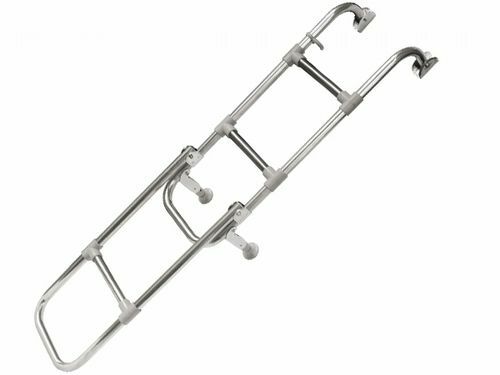 These aluminium boat ladders also have two mounting plates with two fixing holes in each plate, and the adjustable stand off can be mounted at the most convenient place on the ladder for your boat. Take a look at our items and make a purchase today. Why choose SecureFix Direct for boat ladders? You need to keep safety in mind when purchasing your stainless steel boarding ladders, and that's exactly why you should head first to SecureFix Direct. The items in our store are proven to be ideal for mounting on boats of a variety of sizes, and we're confident that you'll be happy with any of our items. We also offer a comprehensive support service, so if you're completely stuck and aren't sure which ladder is right for you, you can simply contact us and we'll help you figure it out. For further details about SecureFix Direct or any of the products in our store, please don't hesitate to get in touch with a friendly member of our team today.